4x4x16 inches. 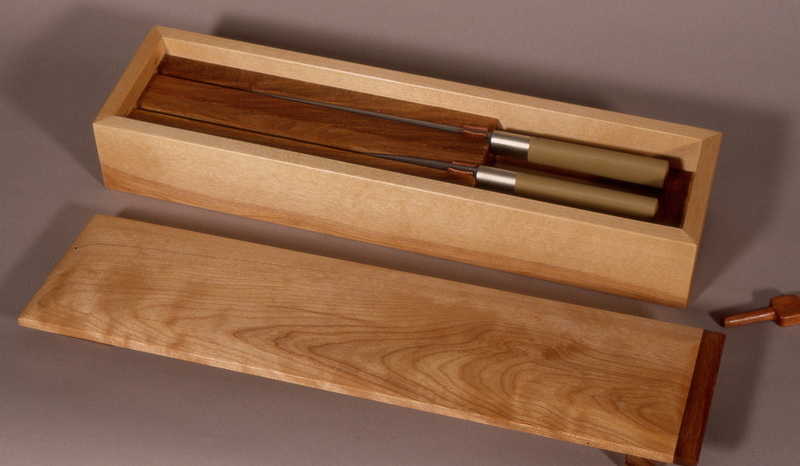 Soft maple and padauk box with wooden locking pin made for a set of Japanese sushi knives. Sold.